India is a mystic country. How many times you have visited this nation hardly gives you any reason to not to plan up your next trip, as it always impresses you with something completely new and something veritably interesting. Beautiful cultures, engraining traditions, colorful festivals and majestic history, you can witness all this during Golden Triangle tours to India. This tour comprises of royal cities of Delhi, Agra and Jaipur. Your first stop during this leisure tour will be Delhi- the capital of India. With so much to share and tell, the capital metropolis is famous for food, shopping, historical monuments and nightlife. Agra- your next stoppage during the tour is known globally due to the presence of the epitome of love ‘Taj Mahal’. While you can also spend some time of your stay doing shopping and exploring other famous buildings - Agra fort and Fatehpur Sikri. 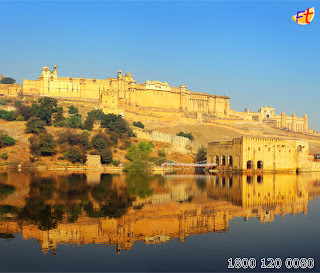 Third destination that is covered in Golden Triangle tour is the ‘Pink City Jaipur’. Some of the most popular tourist attractions of this city include the city palace, Amber Fort, Jaigarh Fort, Jal Mahal, Birla temple, Moti Doongri, Hawa Mahal and a lot more. Get ready, pack your bags, and get to know the imperial nation with Golden Triangle Tours. The Cheap Holidays Package Deals are really convenient for people. These are affordable for everyone. Thanks for sharing a great article. C 94 Saraswati Kunj, Sector 53, Gurgaon 122002, Haryana, India. © 2012 www.froottrip.com, All rights reserved.